A friend of mine has recently divorced her husband of twelve years and seems to be going through a stage that at first I found mildly alarming but now I am kind of intrigued by. All of a sudden she is into everything alternative and I am simply hypnotised listening to her tales. This lady who has led a rather average lifestyle for over a decade has now become vegan, signed up for a charity skydive, had reiki healing, is learning about how crystals influence our lives and most recently had a Feng Shui master round to Feng Shui her house. Now most of this stuff I can take or leave, but Feng Shui is something that has always interested me so I listened intently as she told me about moving furniture around, adding layered lighting and throwing out some of her wall hangings. I didn’t want to let her know but I was totally intrigued and really wanted to find out more, in fact I really wanted to have a go myself. But as I had been slightly critical of my friends new approach to life, I might at one stage have called her an aging hippie with a mid-life crisis, I felt I couldn’t really tell her I was going to try Feng Shui. So what to do? Lightbulb moment… I’ll Feng Shui my bedroom and then she will never know. Genius! It is also the most run down and unappealing room in the house with lacklustre lighting, a third hand bed that is falling to pieces and rather drab pictures on the wall. I knew I was going to have to start from scratch to achieve good Feng Shui as my room lacked any sort of energy, let alone positive energy and had a proper clear out before beginning, clutter is definitely bad for the energy flow. So, the first step was to clear the furniture and look online for a decent looking bed and two bedside tables, it is important to have two as this balances the energy around the bed. If you’re looking at your own furniture and thinking it could use a facelift then see the bedroom furniture range here that is on offer at David Phillips. A great range and lots of simple lines that are great for the Feng Shui energy. Next were the images on my walls. For good Feng Shui you are meant to display only images that you want to see happening in your life; I chose a calm sky scene with a hot air balloon rising above the clouds. Lastly, I had to sort out the lighting and colour flow in the room as well as the air quality. The potted plants on my sideboard were out and the air dehumidifier in and then I added a dimmer switch to the main light and well placed coloured lamps. Voila, my new room is complete and it looks great. Does it give me better energy, who knows but I’m certainly a happier girl sleeping in my newly decorated boudoir! Feng Shui is all about the energy of your home, and ways in which you can make it feel like a nicer place. Every home can be beautiful and Feng Shui is a natural and cost effective way of making the most out of your space; so where are good places to start? The outside of your home is very important for good Feng Shui inside. If there is low or aggressive energy on the exterior then it will be difficult for positive energy to penetrate the interior. Think about where your house is situated and what surrounds it. Do you have a front garden or yard? Does your home go straight onto a street? How can you make this a more calming, serene place for good energy to pass through? Adding a water feature or some lush plant life is always a good idea, although simple things like repainting windowsills and attending to cracking brickwork or wooden fences could be an easy enough way to improve your outside energy. 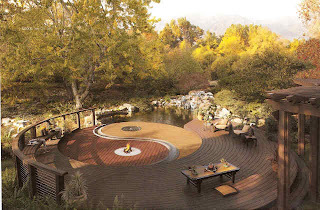 http://www.ehow.com has some great tips on designing a Feng Shui garden. Good Feng Shui inside your home centres around the main rooms of energy and activity in your home and these are the kitchen, the bedroom and the bathroom. Furniture placement can have a big impact in these areas; positive energy needs to be able to travel from these rooms throughout your home and circulate, so having any furniture blocking doorways or light can be harmful to this. The type of furniture in your home can also have an impact; too many patterns can become oppressive and too much clashing furniture will not give the rooms’ good harmony. The furniture in your home should fit together and match its surroundings, so everything is in balance. You do not have to buy new furniture to achieve this, think of common features you could add to each room to make the energy flow better. To create good Feng Shui means creating peace and harmony inside your home and light and sound are two factors which cannot be overlooked in attempting this. Letting as much natural light into your home as possible is a necessity, as sunlight makes people happy and feel healthy, and having lights tailored to the needs of your home will be helpful too – visit www.downlights.co.uk to get started on picking these, and concentrate on brightness and depth of light. Adding soothing sounds like water features too can help add to the Feng Shui of your home, especially if they are in a position where the sound, and therefore the energy, can be carried through to a few different rooms. Improving the Feng Shui in your home is easy and straightforward and will provide something of a spiritual energy de-clutter; you’ll be amazed at how different you feel when you’ve done it! It is a well-known fact that art can add something extra to your home and make it a more vibrant, creative and beautiful space. Art is a personal thing and can range from paintings and canvases to statues and ornaments; there is no such thing as bad art if you like it. As well as being wonderful for the aesthetics of your home, the use of art can also help improve your Feng Shui, and is a cheap and fantastic way of getting the right balance of energy to make your home an even happier place. Certain shapes, colours and images will bring positive energy into your home and allow it to circulate, whereas others may drain the energy out so it is important to choose wisely. A great way to start deciding what art to pick to improve your Feng Shui is to get a bit of inspiration, and www.pinterest.com is a great place to start, with many boards all about Feng Shui in the home. It is important to think about what you really like, what speaks to you and what you think will sit well with the colours, furnishings and size of your home. Gentle, floral prints bring a lovely calming energy as do certain brush strokes and muted colours, so if you have a bold colour scheme or a strong theme in your home already then pick something gentle like this. Too many conflicting patterns and colours will clash and make the energy in your home oppressive, and this is what you want to avoid. Similarly statues, sculptures or ornaments which are too big for a space will darken a room and draw negative energy towards it. Bold colours and patterns can bring wonderful positivity and vibrancy however, and if you can introduce these in a positive way then it is worth doing – they can lift the energy of a room which is relatively plain. The idea with Feng Shui is that energy should circulate around your home, so having art that continues into different rooms is a great way of doing this. If you have found a series of ornaments or statues that you love try splitting them up and putting them in different rooms in the house – being careful about the positioning. You can also buy beautiful canvases which come in 3 or 5 part sets and could split these up in different rooms if you wanted. Dotcreative Ltd T/ACatchincolour UK is a fantastic canvas company which has a great array of these. Pictures and canvases of loved ones or special memories always lift your heart and make you smile, and these will also improve the Feng Shui in your home. Art is a wonderful, expressive medium that can transform the energy in your home, all you need is a bit of Feng Shui knowledge and some creative flair; this will be a fun and soothing way of improving your home. The walls are painted, the carpet is in, but what color furniture should you add to your home to ensure that it fits with the Feng Shui feel? Often times the furniture is the main focus of your room, so choosing the right color can be an overwhelming task, especially when following the five elements Feng Shui theory. Here are some tips for choosing the right furniture color that is going to have you peaceful and decoratively content in no time. A bold pattern on more than a few pieces of furniture can more often than not be too much, and you can easily start to feel as though your room has become dated. Choose Feng Shui colors according to the energy you need. One tip is to choose a neutral sofa and then add one or two accent pieces representing your favorite elements. Think fire for passion and energy, metal materials for clarity, and wood for vitality. A harmonious Feng Shui water element will bring a refreshing calm to the area, while a strong earth element in your home can help create a sense of stability. By splurging on the furniture that’s most important to the room as a whole, you will feel good about both the quality and tranquility of the new additions. If you want something that is going to stand out, but you are not necessarily looking for your Grandma’s flower print couch, choose furniture with texture instead of color. In many cases, you can find a couch with fabric that has tone on tone patterns, allowing it to appear neutral, having the ability to blend with the rest of your room. While a solid colored piece of furniture may seem plain, look for one with textures, such as raised lines much like corduroy, which will complement the rest of your living space. Every room needs balancing by adding varying textures. Think throw pillows,decorative rugs, drapery. In order to have a balanced and comfortable room, combining different textures, shapes and colors is the key. Generally, natural materials like cotton, silk and wool attract better chi than synthetics. Find what textures work for you, and follow your natural instinct from there. While Microsuede is currently the ‘in’ fabric, it can be easily manipulated, meaning that the color of the furniture actually changes when you touch it. When choosing a microfiber couch, or other fabric that causes the same effect, make sure you like the color of the fabric no matter which way it is brushed up against. If you’re in the market for new furniture, you should be prepared with the many unique models you’ll face when shopping. Do some research and have an idea of what you want beforehand. With a clear image of what interests you, you’re less likely to make what could be a costly decision on a whim. There are several pieces of furniture, particularly modern sofas that have extra details, such as nail head trim or wood feet. It is important to make sure those elements match with the rest of your room, just as the color of the couch or other pieces of furniture. There are also some pieces of furniture with silver legs, and your room may be accented with gold. Be sure to look at this aspect of your furniture, because although it may not seem to stand out in the showroom, once you add it to your living space, it could become an unexpected eyesore. Feng Shui accents should include good quality, smooth edges and proper placement. No detail is too small to affect the energy flow in a room. Difficulties can often be cured by placing and rearranging objects within the space. Get a second opinion, consider the thoughts of your friends and family. Sometimes seeing something through the eyes of another can help establish a clear view. Pillows that accompany couches when you purchase them often come in outrageous patterns or obnoxious colors. However, do not let this deter you from purchasing a particular couch, which you know will match your decor. There’s no design problem that can’t be fixed with a little ingenuity. Pillows can be recovered or replaced for only a few dollars. Additional accessories can be found that harbor Feng Shui meaning and symbolism. For a quick Feng Shui decorating fix-up, turn to accessories and Chinese symbols sure to bring harmony in your home. In the midst of decorating or revamping a space, it can be difficult to imagine the tranquil area of your dreams. But with a bit of patience, and the Feng Shui guidebook in mind, you’ll be relaxing in no time. Josh Thompson is a blogger and writer for all things related to the art of interior design. He also works for LuxeYard, a new community for group discounts on luxury furniture. You want your patio experience to be as relaxing for yourself as it is for your guests. It’s no surprise that many designers turn to Feng Shui techniques for a tranquil home display. This technique is a marriage of your surroundings with your personal items to accentuate easy flow and connection to nature. Good design following the principles for what you desire will feel good to you on a visceral level when you spend time in your sacred space. Take stock of your current patio furnishings. Less is definitely more when it comes to designing in respect to Feng Shui. You want all pieces of furniture to have plenty of space around them for easy mobility and access. Think about how your guests will move through the space when you entertain. Remove anything that impedes traffic through the patio. Also, toss out anything broken or not in the best condition, as these items can be unsettling and interfere with the positive energy you are trying to emphasize. You can draw from natural elements by enhancing the sights and sounds of nature, which are key tools in Feng Shui design. If you are in a busy metropolitan area, for example, a fountain can add the soothing sounds of water to mask the sound of traffic. Metal fountains, in particular, can add not only visual interest, but also make the sound of running water resonate as the liquid hits the surface. Low lights, such as paper lanterns or discreet solar patio lights, can add just a hint of illumination to blend in perfectly with moonlight. Study the principles of Feng Shui to discover more about what you want to bring into your life. You can emphasize elements tied to money, harmony or happiness with your particular design and placement of items. Even the shape of a table can make a difference to the space’s energy, or chi. Any interruption of your patio space’s chi can bring misfortune, according to certain interpretations of these principles. Always focus on flowing energy as you decide what to keep and what you can live without on your patio. The direction your garden paths leading from the patio can have a profound effect under the principles of Feng Shui, and you will want proper guidance in making these determinations to best fit your space and needs. Take care with mirrored gazing balls and potted plants, for example, as they can interrupt the flow of energy if placed incorrectly. Keep in mind that the patio design needs to flow and offer harmonious, uninterrupted space with everything clean and in good working condition. A broken down trash bin, for example, will interrupt this energy and conflict with the cleanliness aspect of your design. Proper handling of seemingly mundane details, such as trash storage, can go a long way to help keep the energy pure in your space. A Feng Shui expert in interior design can be helpful to you as you sort out your life’s priorities in relation to your patio design. It’s been said that your kitchen is the feng shui part of your home that ‘nourishes and sustains life’ and it is a symbol of wealth and prosperity, so why not put a little time and effort into making your kitchen as homely as you feel? 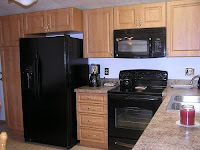 From the lighting, to the food you buy to the kitchen cabinet doors feng shui is used to make your life more fulfilled. The rules of feng shui say that you shouldn’t have your kitchen close to your front or back door as feng shui energy can easily escape, keeping the energy in your kitchen and home is important as it leads to a good spirited chef who will put good spirited meals on the table for a happy family. The food you eat gives you energy, so the food needs to be prepared in a well organised kitchen with balanced flow of feng shui energy. It is said that good nutrition is good feng shui and that is why people add organic foods to their diet. Fresh foods and vegetables have a high nutritional value and offer healing qualities that your body needs. Your kitchen cupboard doors should be made from a light coloured wood as this allows warmth into your home; in fact your entire kitchen should be warm and welcoming with no clutter and a simple design, fresh flowers and a fruit bowl allow for an uplifting energy. Your kitchen is one of the most important rooms in your home, it is where you feed your family, and a healthy kitchen allows a healthy family. Make sure you follow some simple feng shui rules for a happy and fulfilled kitchen. Feng Shui is no longer a term that is confined just to the Asian practice, it has become a common household name in many parts of the world. It is functional not only for people who live in a house, but for apartment occupants as well. Not many can afford living in huge mansions or big bungalows. 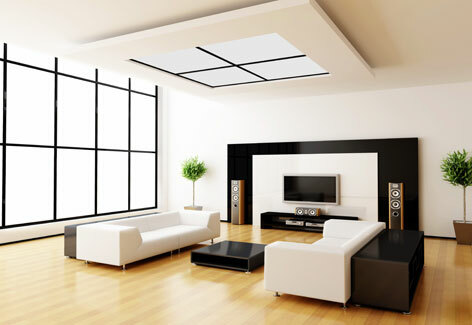 No matter how small the size of the living area, there are easy and feasible options by which you can transform and get positive energy in your place. With the right research you can achieve it without having to spend a lot of money and time. In this article, you will learn how to Feng Shui your space restricted apartment with ease. To begin with the space is a major constraint from a design perspective but feng shui can do wonders to the small area. You have to make changes and activate specific areas that an individual wants to enhance in your life. First things first, the bed needs to be placed in the right area. You have to make a demarcation in the living area and the work area in that limited space only. My best advice would be to place it near the wall and not under a window. Drape a lovely piece of fabric from the ceiling or erect a beautiful folding screen half way around the bed - compartmentalize your sleeping quarters in a lavish way. This will allow good chi' to flow throughout the small space. The room will appear spacious using this technique, even though it is not. While designing bear in mind that the whole area is proportionately furnished; do not de-clutter from one end and add it to the other. Keep the balance theory in mind and you can never go wrong. Make sure the door is not facing the elevator or a long hallway. Create an illusion with the use of mirrors to expand the room area more than it is. As a result when you apply feng shui living room and house tips, you are sending best vibes to you and your loved ones. Now you can lay back, relax and feel blessed in every way possible. Make the right changes and you will be surprised at the results in your life. About the Author: Mary has been freelancing as a guest writer for quite some years. "I like to share my opinions and connect with like minded individuals online about various topics." Mary's other interests include popular topics like Art & Home Design. Mary is also passionate about writing, careers, HR, and the freelance world. She is currently promoting these Professional Resumes, You can check out the latest resume blog for some great resume / CV tips.